Friday morning we will meet and plan to leave by 9:30 AM from E.P. Tom Sawyer Park. My plan is to ride to Rabbit Hash via US42 (taking Sleepy Hollow Road and Covered Bridge road to get to US42). From there, we go north up to I275 and cross the river at Lawrenceberg, IN and come back south on 56 (Ohio River Scenic Byway) into Aurora to go to the Great Crescent Brewery. My plan is then to have a couple small, small, samplings before continuing down 56 along the Ohio River for 60 miles into Madison, IN. Then, if the timing is right, grab a few sliders at Hinkle’s Sandwich shop on Main Street. 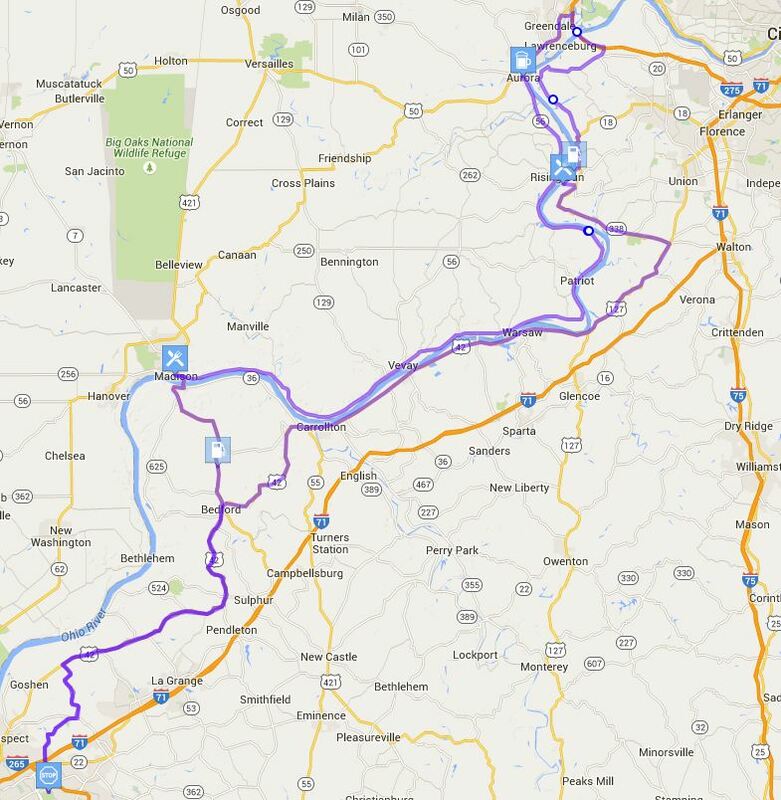 Once done, the route has us coming back in Louisville down 421 to US42 and home, but it is also possible to continue down the Ohio River Scenic Byway into Jeffersonville. However, traffic may be an issue at that time, as not everyone has that day off. Personally, I am coming down 421 to 42 and home. 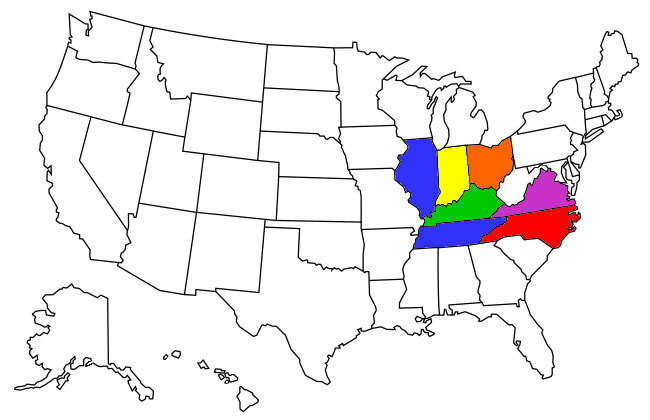 Just as a note, the Ohio River Scenic Byway is an incredible trip on its own, and one I plan on making from Ohio to Illinois at some point, most likely in the fall.